Analogue chronograph watch with a 30 minute and 10 hour dial. 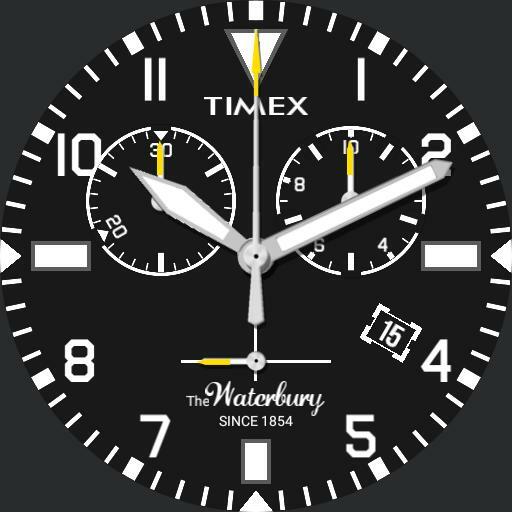 Includes date window and small seconds which is also a watch battery indicator in dim mode. Tap 2 to start/stop chronograph and 4 to reset. Tap logo to cycle through 4 colours.